Most of you know Verizon Wireless because it’s a carrier which is mostly involved with handsets and tablets, as well as various data and mobile communication services. Nonetheless, Verizon is not just a carrier, but a financer and backer of some really interesting products, as it turns out. Verizon is supposedly planning a Smart City and is already recruiting products that would fit well in the utopia that is the Verizon Smart City. The company has the Verizon Innovation Program to thank for that, a branch of the company that focuses on bringing wireless technology to non-traditional devices. The Verizon Innovation Program makes use of the company’s wireless technology, as well its high-tech labs and marketing department and offers them up to developers and manufacturers who are interested in helping to create the Verizon Smart City. Supposedly, Verizon and the Innovation Program are planning a wide array of devices, including street lamps, parking tags, robots, garbage bins, as well as smart wearable devices. While home automation is already pretty accessible to many people all around the world, the process of making non-traditional devices smart is still in its first stages, so making the smart city real will not be an easy or a fast task for Verizon to accomplish. We can safely say that home automation is fairly pricey, still, so smart street lights and parking spots are not exactly cheap things to make. But technology is advancing at a fast pace, and Verizon knows it. Luckily, it also has the resources to make use of all kinds of technology in order to develop these new concept devices that would make the urban environment safer, and more futuristic. 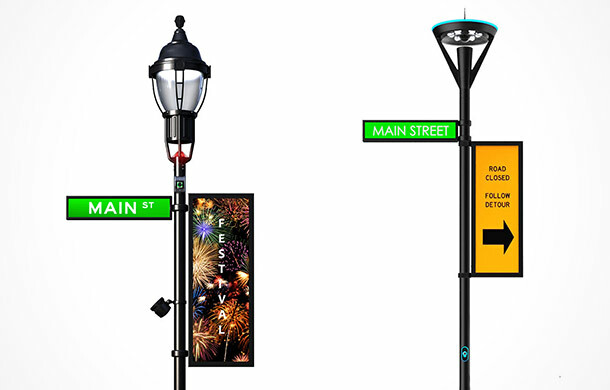 One of the devices Verizon is planning is a street lamp that can wirellessly connect to users and data bases in order to serve up content on a display that is fit for the user passing it by. The streetlight is dubbed Intellistreet and it will feature motion sensors, speakers and digital screens which can show passers-by direct traffic, as well as ads and music videos. These Verizon concoctions can also serve as emergency call stations people can use if they are endangered. Verizon wants to implement these street lamps in campuses and sporting venues at first, because the company thinks they would have a bigger impact in these areas. Another smart idea coming from the Verizon Innovation Program is smart parking spots. These suppose that Streetline would develop and install wireless sensors under public parking spaces so that they can provide drivers with exact and live data about parking spaces. 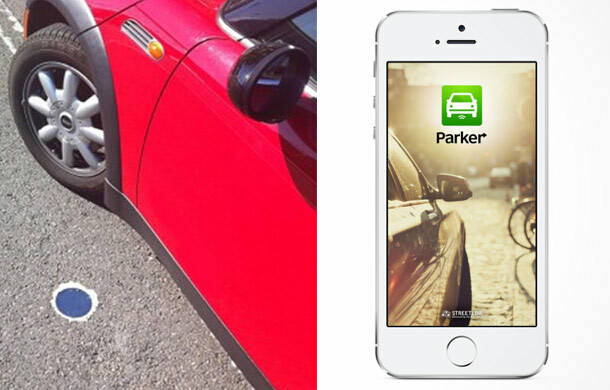 Drivers can view data via the Parker app from Streetline and easily determine where they can find the closest parking spot and decongest traffic caused by hundreds of people who can’t find spaces. The wireless parking sensors could also help authorities distribute tickets optimally by recording the time spent in the parking spot. 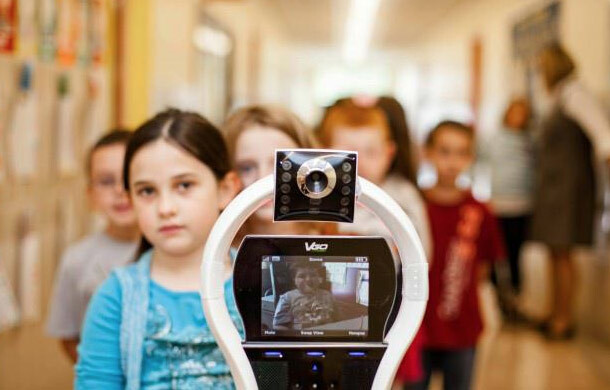 While robots are not a new concept and we’ve already seen tremendous progress in the robotics department, Verizon and VGo want to use robots to replace sick children at their schools. The VGo robots would be fitted with cameras, speakers and microphones, so that a kid that can’t attend school can still make use of the classes they are missing. The VGo robots could also move on behalf of the user so that the experience is more immersive. Verizon thinks that the VGo robot could also be used to monitor and help patients in case a health care professional cannot travel to their location. 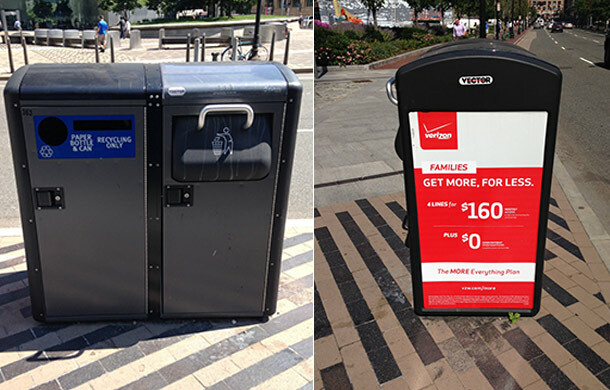 Smart waste bins are also an idea that Verizon would like to see in the city of the future and it’s actually a good idea. Verizon partnered up with BigBelly in order to dispense public waste stations that can recycle and compact trash on the spot. These bins are solar-powered and outfitted with wireless connections so that they can communicate with collectors and alert them when they are prepped for pick-up. The idea is very eco-friendly, as well as a time-saver for trash collectors. BigBelly stations are already implemented in the U.S. and 45 other countries and reports say that they have improved the environment as well as raised awareness about recycling. One of the other devices Verizon has in mind is the HealthID, which is actually similar to Apple’s HealthKit service. 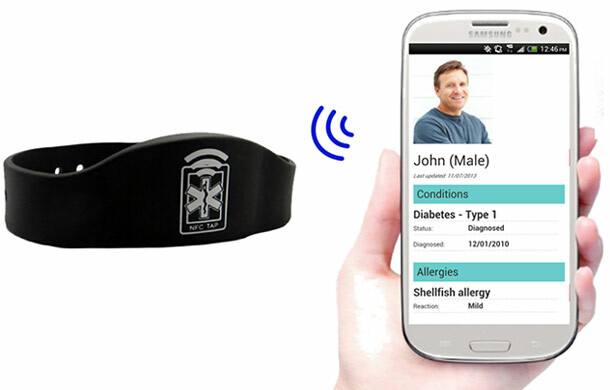 HealthID is actually a wristband that uses NFC to store and communicate the user’s health data to health care professionals in case of an emergency. HealthID can store patient information like blood type, allergies, medication, emergency contacts and medical history. The data on the device can be accessed through a smartphone and would help first respondents and health care professionals.